FieldAlly - Mobile Construction Review Software — Ruekert & Mielke, Inc.
Construction is an exciting, yet stressful time for staff and citizens. It can be a challenge to keep everyone current on the status of complex, multi-crew construction projects. R/M developed FieldAlly, a mobile construction review platform to streamline the process and improve the interaction of our construction review technicians (CRT) with our clients. Our CRTs are outfitted with FieldAlly to communicate important data and ensure accurate quantities and items. 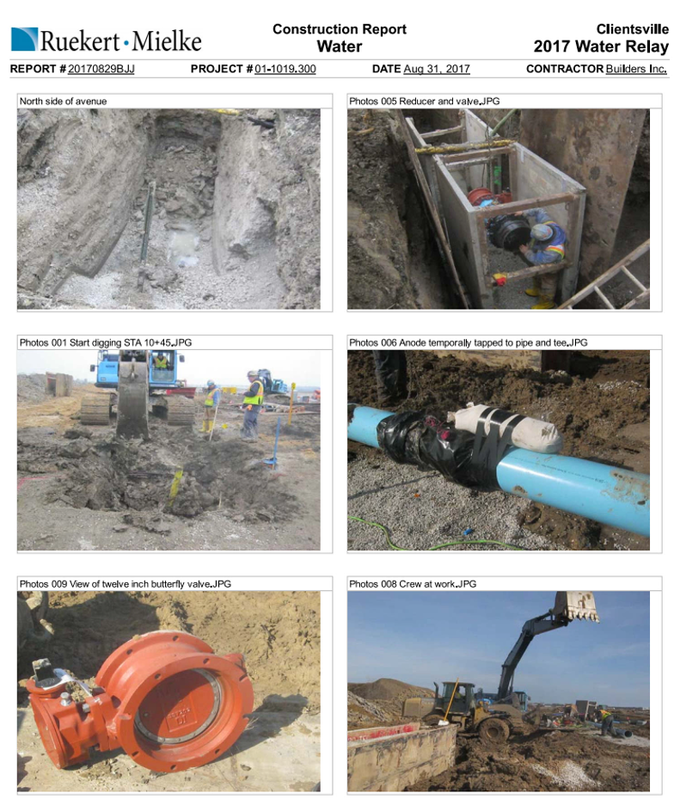 During construction, our CRTs collect the locations of infrastructure and complete record drawings while in the field. 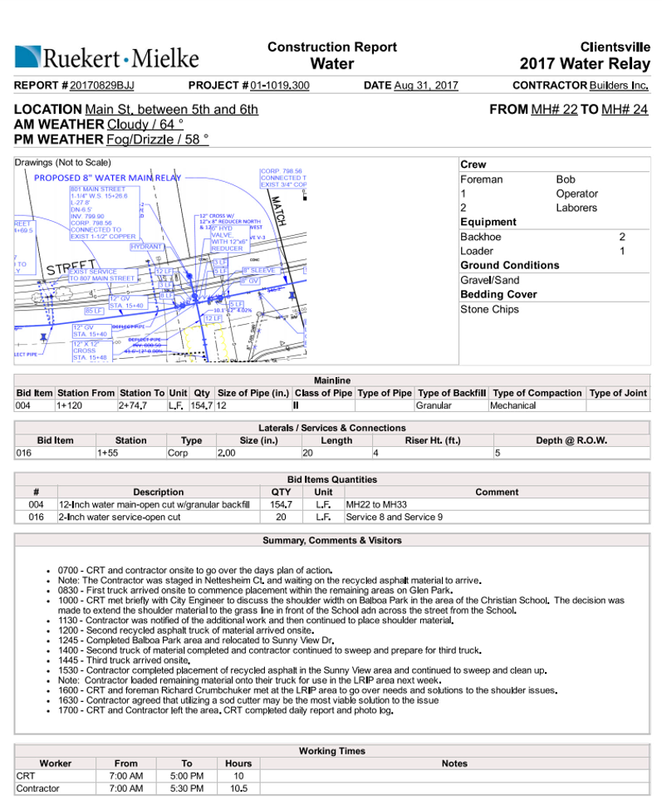 The record drawings, daily construction events, project photos, and bid quantities are documented in a digital format and sent to you daily in an easy-to-read report. As the project progresses, as-built drawings are prepared in a fraction of the time, accessible online, and linkable to your GIS.